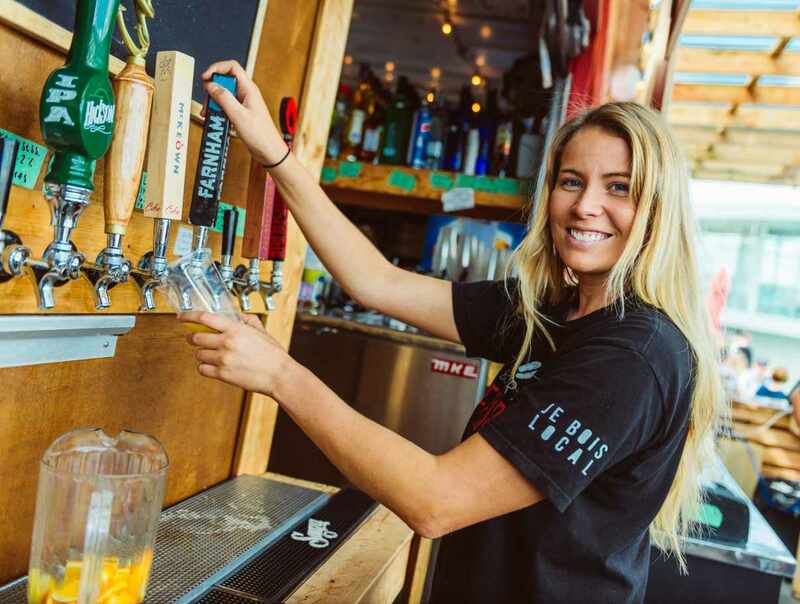 Stop by our new pub with patio to enjoy a cold beer from our extensive microbrewery beer menu while soaking your feet in a man-made oasis. 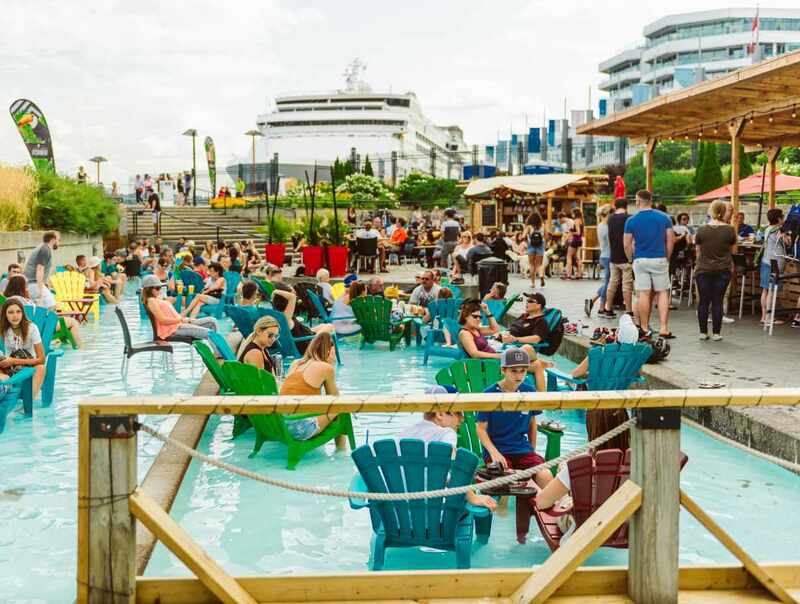 Open only in the summer (June to September) in the Port of Québec (little Agora, behind the Café du Monde restaurant). Hours: June to September, open daily from 11 a.m. to 11 p.m. May close without advanced notice during inclement weather.